Sheffield weather forecast: Temperatures remain close to freezing but is more snow on the way? 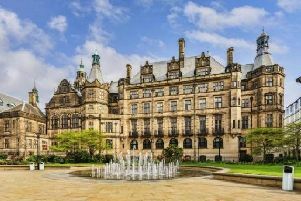 The weather in Sheffield is set to be a mixed bag today, as forecasters predict periods of small sunny spells and cloud, alongside heavy rain. Temperatures will remain cool this week, with further snow on the horizon. This morning will see a mixture of sunny spells and cloud, with the temperature reaching its peak of 5C by 12pm. Early afternoon will continue to see some sunny spells, before becoming cloudy for the rest of the day. The temperature will remain at 5C throughout the afternoon. This evening will become quickly dark, with the temperature dipping to 4C. Heavy rain will hit from 9pm onward. Overnight temperature of 3C. Tomorrow will be see a mixture of cloud, sunny spells and some light showers throughout the day. Peak temperature of 4C and a minimum temperature of -1C. Looking further ahead, the Met Office UK outlook for Tuesday 22 Jan to Thursday 31 Jan said: “Outbreaks of rain, sleet and snow for many areas on Tuesday with a chance of snow to low levels but the details of this are currently uncertain. “Strong winds are also possible in the southwest. Showery conditions will follow although some brighter weather is also possible later in the week.